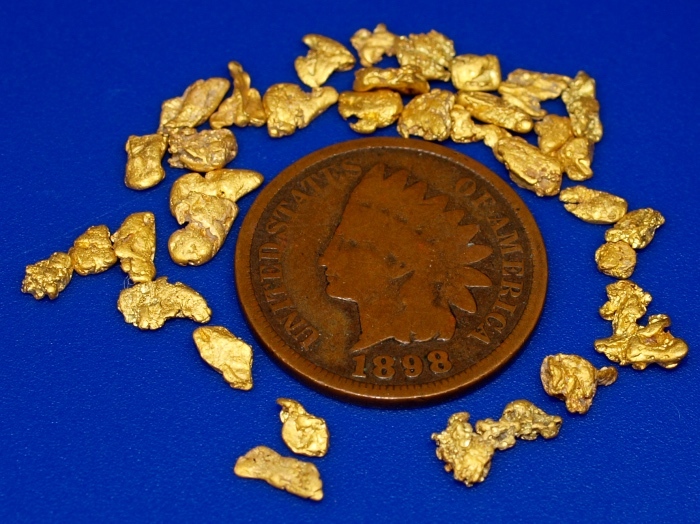 A nice collection of small placer gold nuggets that were all found in the high desert of Pershing County, Nevada. Their combined weight is 4.00 grams. 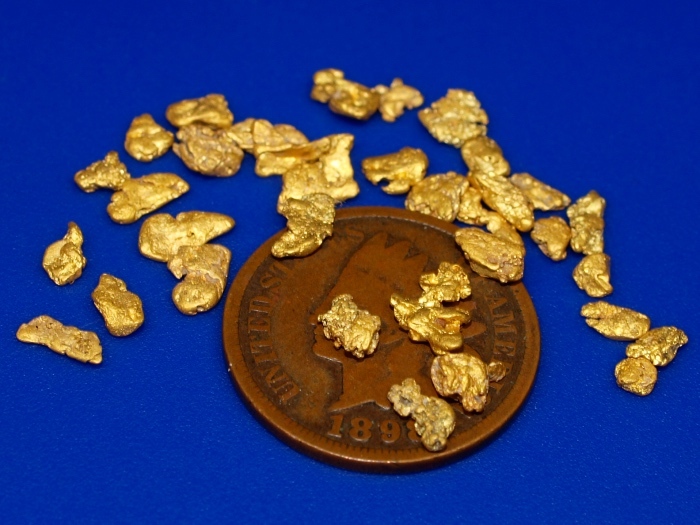 Lovely little bits of gold from a popular prospecting area.